Plastic folding chairs are the choice of many event planners for their lightweight design, ease of cleaning, and versatility among events. 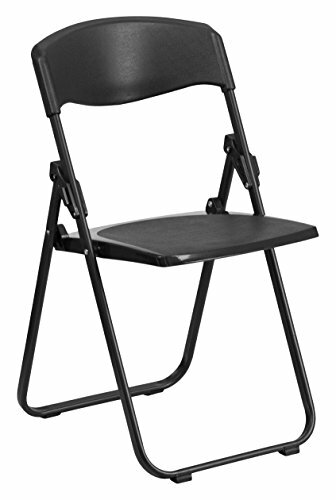 This folding chair will make a practical choice in the home or for hosting outdoor events. The textured seat ensures safe and comfortable seating. You can attach multiple chairs together for seminars using the convenient linking brackets. The provided clips will provide a uniform separation between chairs when setting up row seating. After an event you can stack them on top of each other or in a row.